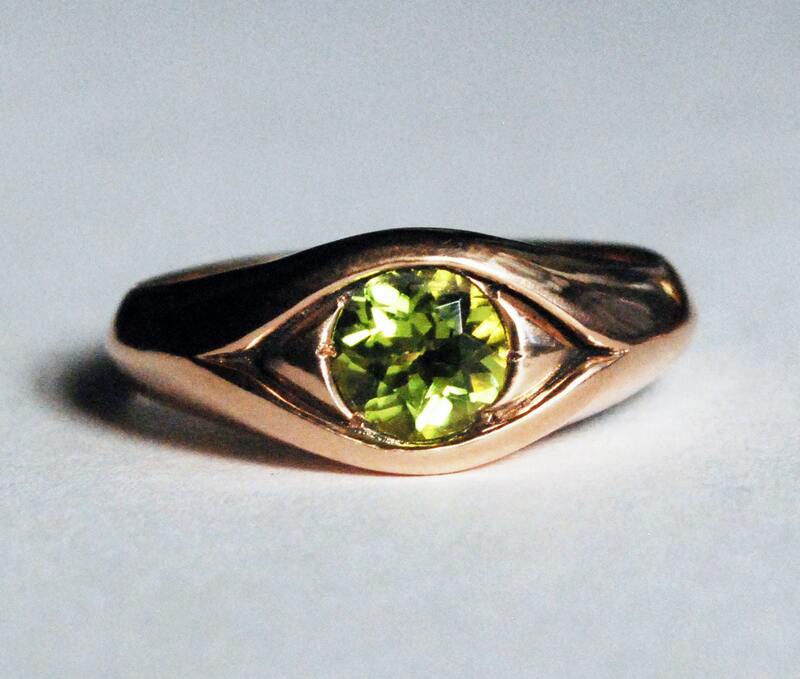 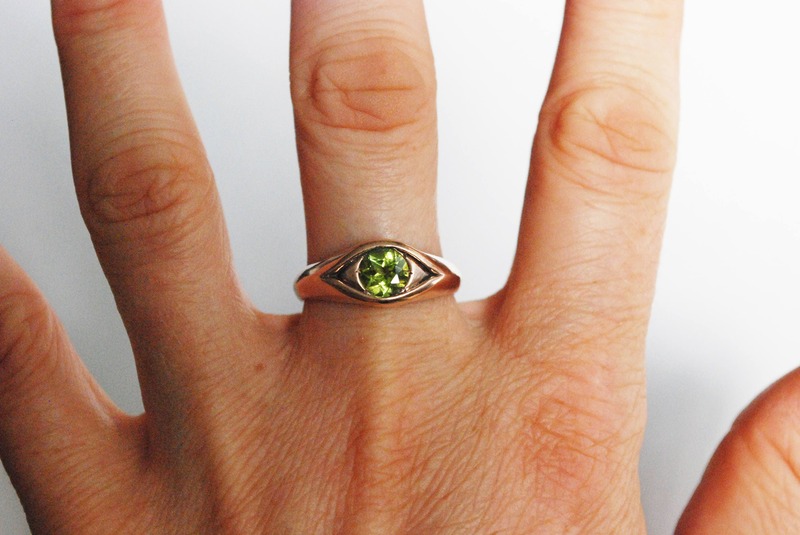 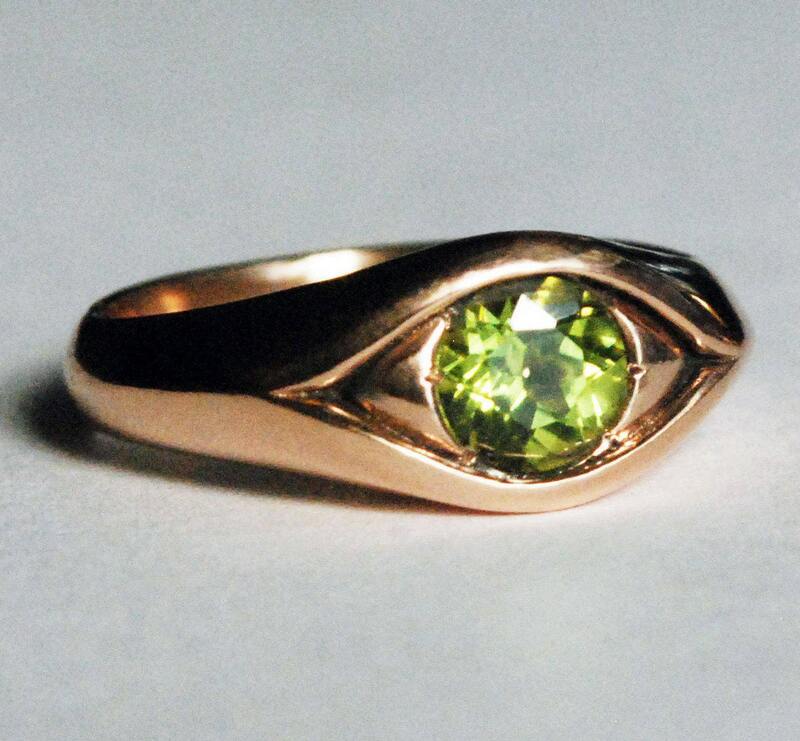 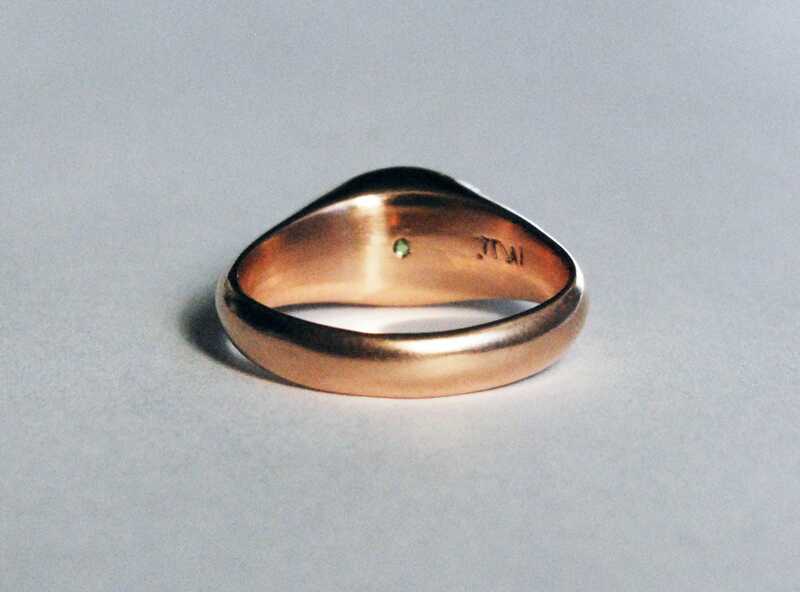 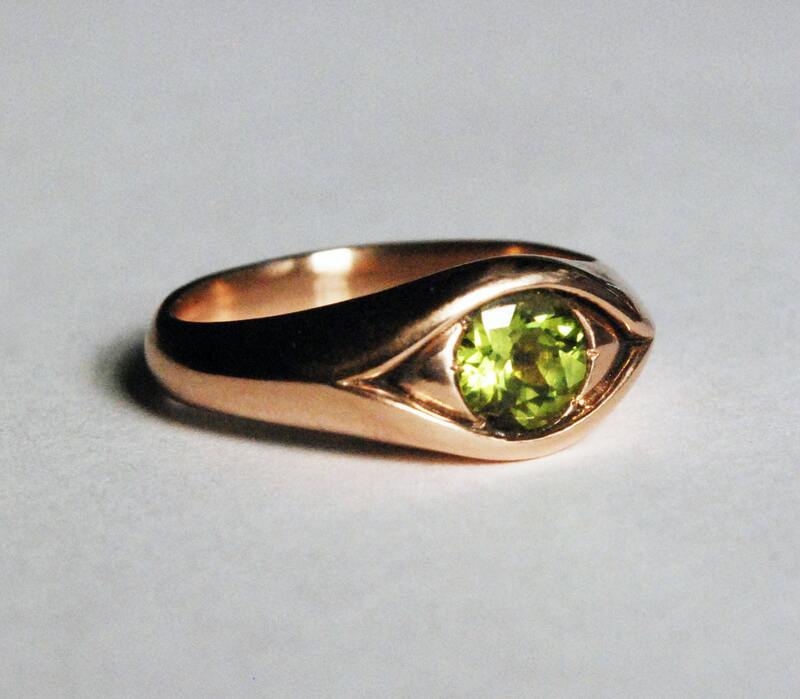 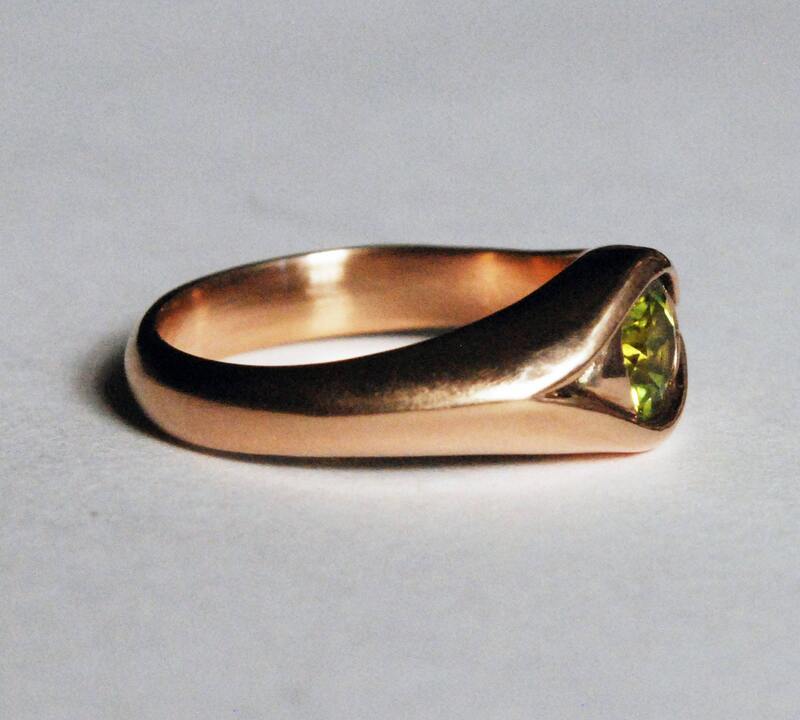 This eye ring is solid cast 10k rose gold set with a gorgeous sparkling 6mm round faceted semi-precous gemstone. 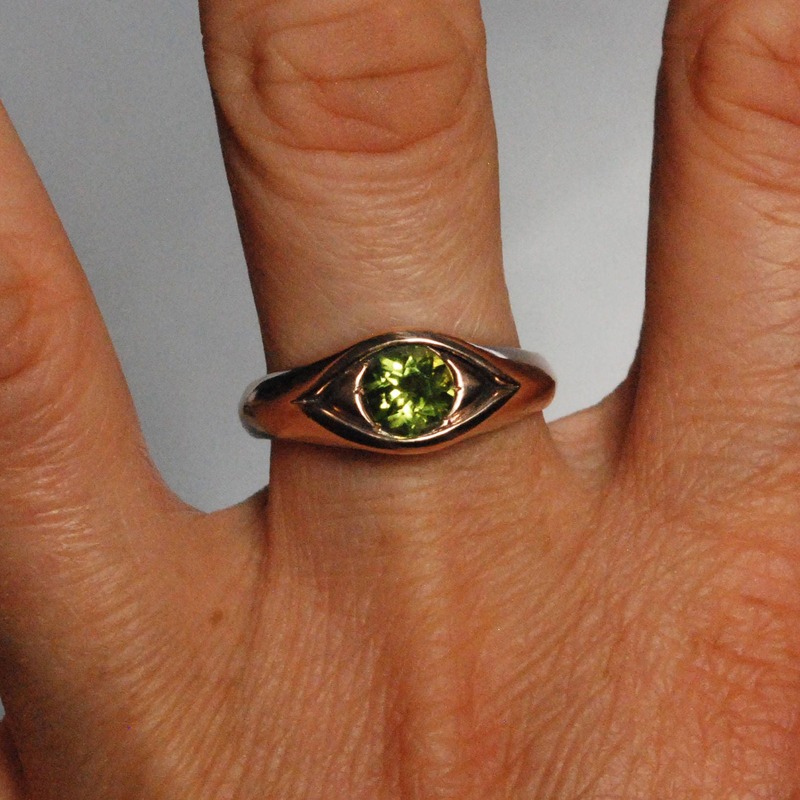 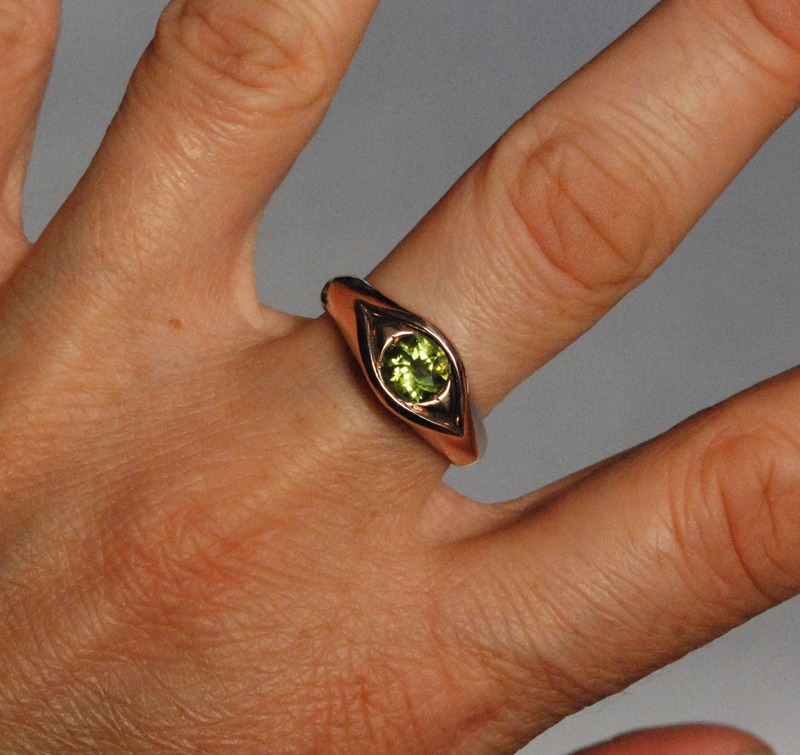 Buffed and burnished to a satiny glow the featured ring in this listing is set with a genuine Peridot, but can also be made with a genuine London Blue Topaz, genuine Swiss Blue Topaz, genuine Green Spinel Doublet, genuine Amethyst, or genuine White Topaz (see options). 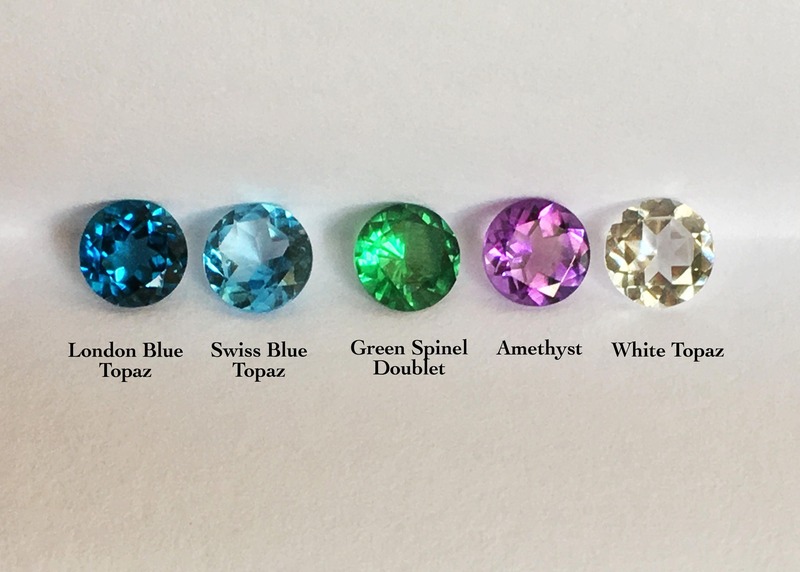 If you are interested in another stone option please contact me. 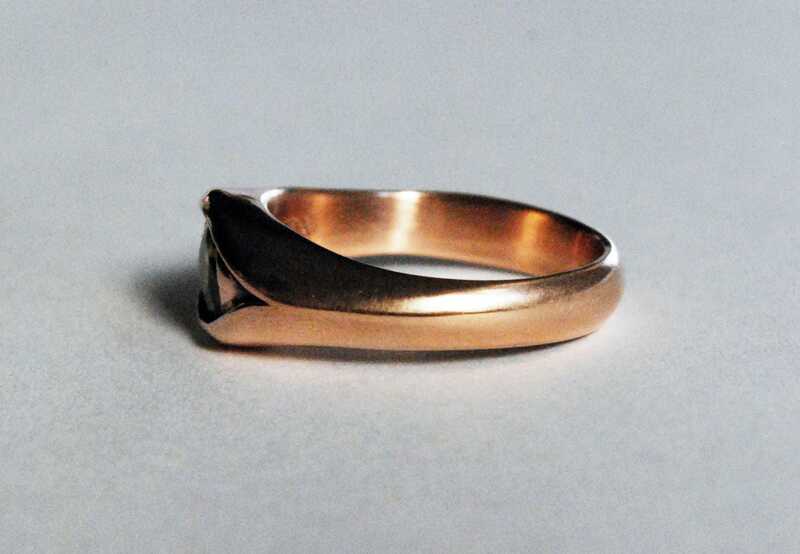 Available in US sizes 5.5-8.5.